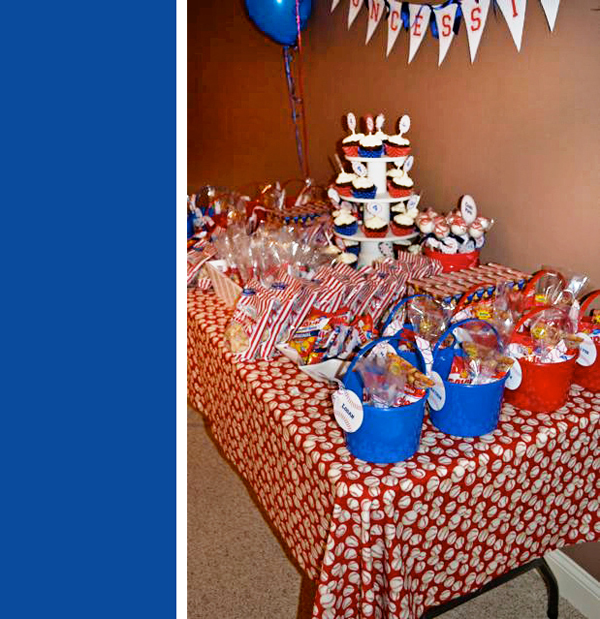 This next party come from my super sweet customer that happens to be my neighbor! 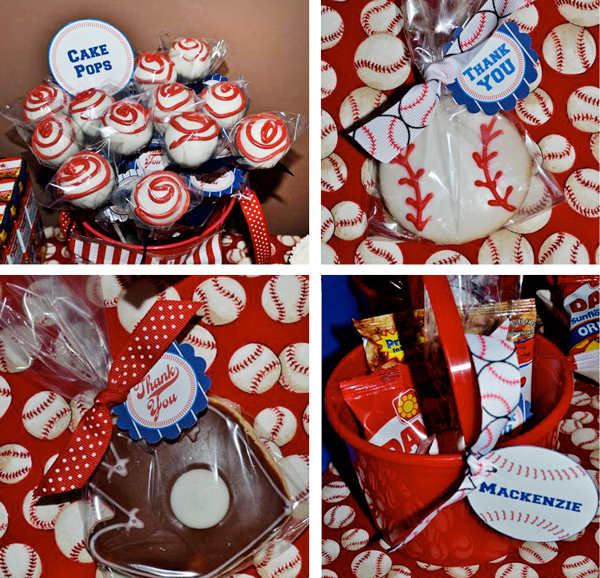 Stephanie ordered our printable Baseball Collection for her son’s 4th birthday and to my surprise I noticed she lived in the same city. After chatting through email we realized we lived a stone throw from each other. 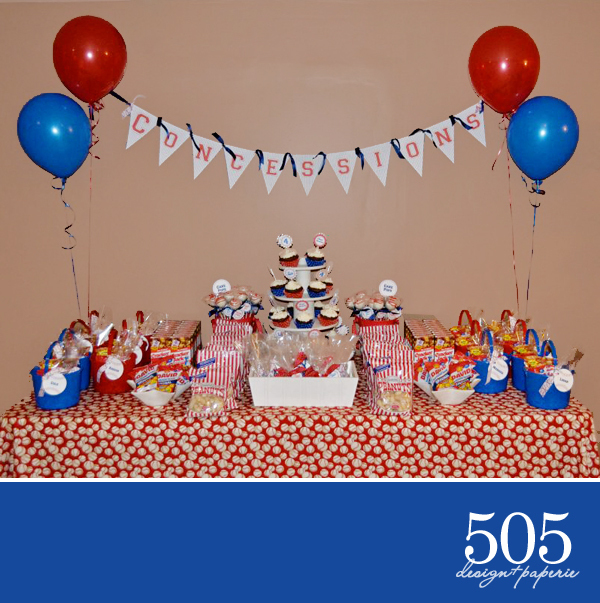 Since then Stephanie and I have worked together a few times and I LOVE the parties she creates!! 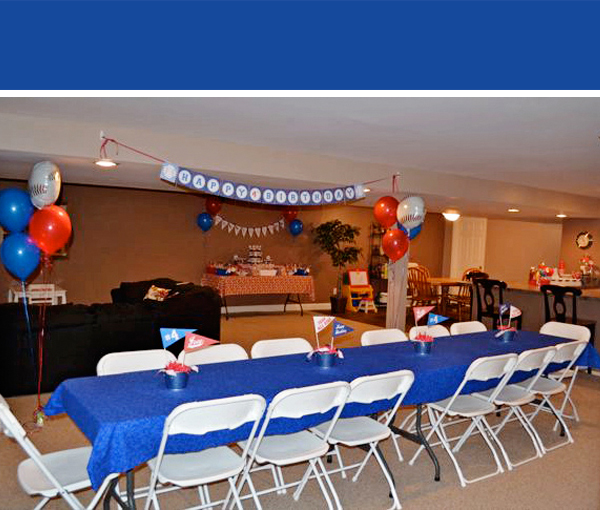 I love the “American” feel of the Baseball party and Stephanie did a fantastic job putting everything together. 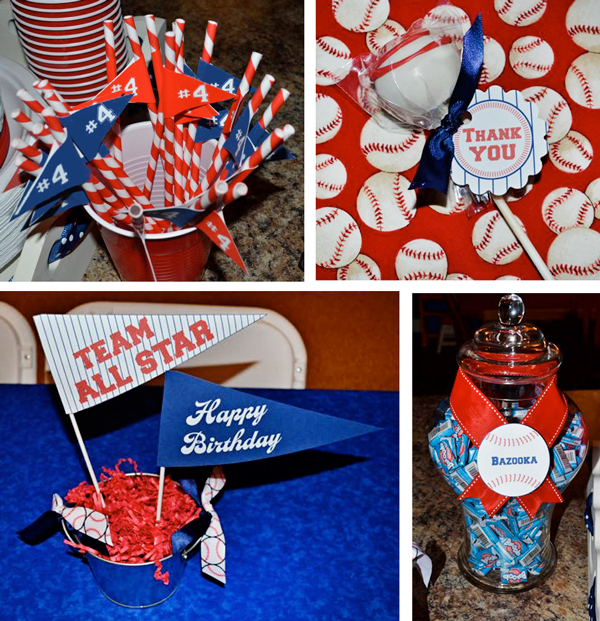 If you are interested in having your own Baseball theme party, check out our printable Baseball Collection now available in the shop.